Seriation Skills can be defined as “the ability to arrange objects in order by size”. The development of seriation skills is a step-by-step developmental process. As children grow and develop, their ability to seriate will also develop. For instance, a very young child (two years old) may not be able to seriate at all. The concepts of “small, smaller, smallest” and “large, larger, largest” probably will not mean much to such a young child. However, an older child (four years old) may be capable of seriating three or four objects quite easily. 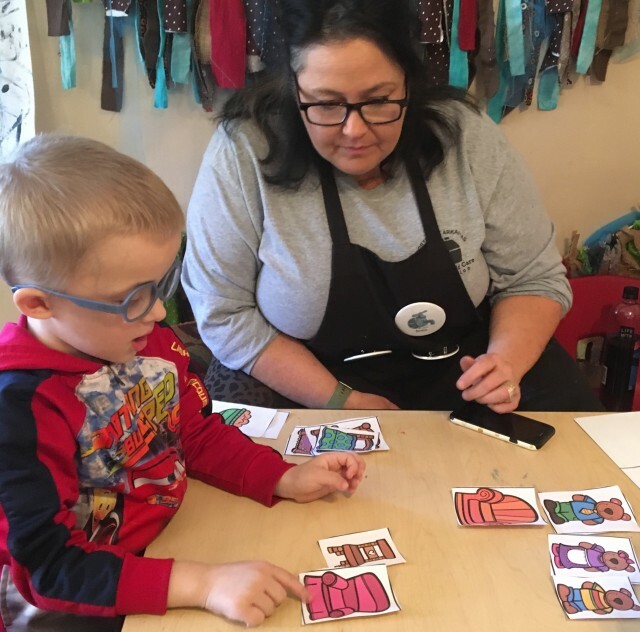 Just like any other skill, the ability to seriate will develop with each individual child at his/her own rate. 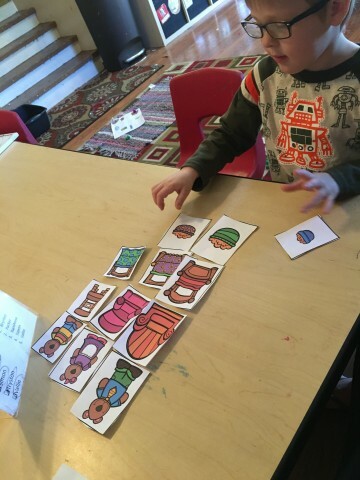 • First, seriation skills are often related to more complex math concepts, such as ordination or placing numbers in the correct order (for example, 1, 2, 3). • Furthermore, well-developed seriation skills also help to develop higher-order thinking and problem-solving skills. In other words, in order to arrange three blocks in order from the smallest to the largest, the children must first be able to analyze the situation and then develop a solution. Today we played a game that allowed us to practice seriation of daddy bear , momma bear and baby bear’s belongings .